Offices rely on their IT equipment for virtually every business process -- from storing customer information to organizing major business deals. Making your business’s daily tasks as efficient as possible can help you and your office boost productivity as well as extend the lives of your office equipment by avoiding daily errors and delays. Overtime, equipment can break due to improper use and inhibiting workflow- creating more problems for you to fix. In today’s world where speed matters and time is valuable, it is important to maximize efficiency in your office and avoid these headaches -- time lost is money lost, after all. Here are 5 helpful ways to build and maintain a streamlined workflow with your office equipment that will ease daily tasks and save you and your employees valuable time! 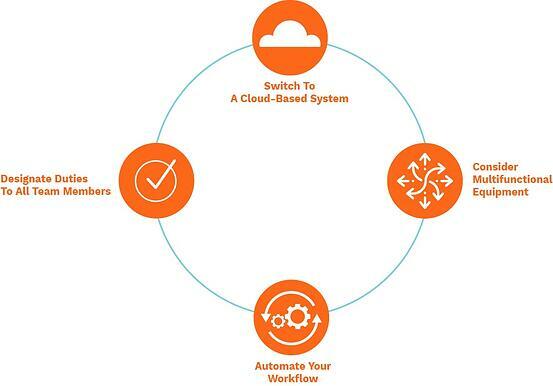 Getting a printer and document management system that's all cloud based allows your employees to print from any device that is connected to the network. Cloud printing is convenient for everyone, allowing employees to print from any location with no need to worry about the integrity of software or cables. Many companies are making the switch to a cloud-based system because it saves all your documents on the cloud, making them easily accessible to your employees. You’ll never have to worry about losing a document when they are all automatically saved, and because it’s all on the cloud, there’s no need to worry about software updates or maintenance. The cloud maintained off-site, so your precious documents won’t be compromised, even if your office floods or burns (though we hope that’s never the case!). 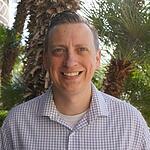 Employees no longer have sift through multiple databases or go through other employees to find what they need. Employees can fulfill their responsibilities in the workflow by accessing the cloud from anywhere, on any device. A cloud-based system is one simple way to ease daily office tasks and save precious time by allowing your employees to store documents all in one spot. Using multifunctional equipment allows your employees to print, scan, copy, and fax all on one machine. Office equipment is equally used for input as much as output and it’s important to have a machine that can properly handle the amount of data being entered so it can produce quality documents that are needed for your industry. Multifunctional equipment boosts functionality, cutting workflows down to a fraction of what they were when employees were having to handle each process as a separate entity. Multifunctional equipment puts all processes on one machine, making it easier for employees to use and combining the workflows. Equipment such as multifunctional printers are a great solution for companies who don’t have an onsite IT staff because they’re reliable and require little upkeep and maintenance. Not only does it free up office space by getting rid of unnecessary equipment, it makes your employees’ lives easier when they have everything they need on one machine, saving them the hassle of shuffling from one machine to another for tasks that could be consolidated. According to a survey done by Robert Half Technology, U.S. office workers waste 22 minutes each day dealing with technology related issues. Using outdated equipment in your office slows productivity and causes unnecessary inefficiencies that can be solved by newer equipment. It’s a no-brainer that newer equipment works faster, and they can have more advanced workflows that allow companies to automate their business processes. Remember to put your equipment in a centralized location within your office as well. This allows your employees to have easy access to what they need without having to walk through a maze of cubicles to retrieve their documents. 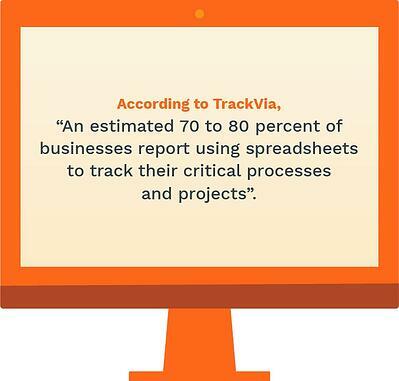 Many businesses still insist on tracking workflows manually using spreadsheets. However, this can be problematic due to data errors, missing updates, and incorrect information. By automating your workflow, you can centrally collect data, generate better reports with graphs and charts, and automate parts of the workflow process. The more you work to automate it, the better you will be at finding holes in your workflow that need more attention. Workflow automation reduces the risk of oversight and allows employees to complete projects on time. Automating the review and approval of paperwork and processing large documents don’t require repetitive actions from employees and are ways that reduce the need for human touch points. There are a variety of different workflow software solutions and each one offers different features and capabilities. Automating workflow increases productivity, saves time, and provides more accurate results. Delegating certain tasks to each team member ensures that nothing will be overlooked. These tasks can include weekly maintenance like refilling the paper in the copier or checking if there is enough ink in the printer. Team members will each have their own responsibility to ensure the task is done, overall helping the office’s workflow with the equipment. If the equipment is not properly taken care of, it can cause a number of maintenance problems with the machine, causing it to break over time. Learning how to maintain and keep office equipment in good working condition will make your employees’ workday easier in the end- which is what effecting workflows are all about. Assigning team members to proactively take control of these tasks avoids shortages, save time, and increase productivity when using equipment. Making the lives easier for your employees is a goal for any manager and following these simple steps is a great way to create an easier day and increase productivity. Workflows minimize room for errors and improve the efficiency of day-to-day business processes. Taking your business one step further by building workflows around your office equipment allows things in the workplace to move faster, run more smoothly and also sustain the quality of the equipment. Happy employees and functional equipment is a win-win in any office!